At Stark & Stark, we understand the importance of client relationships and recognize that those relationships have made us who we are today. 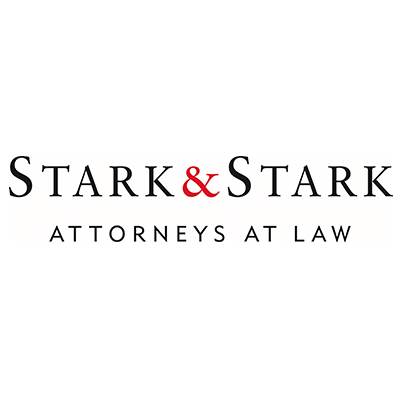 Boasting one of the oldest law practices in New Jersey, Stark & Stark offers a full range of legal services for businesses and individuals. After more than 80 years, our attorneys continue to deliver practical, efficient solutions to clients in New Jersey, Pennsylvania, New York and throughout the United States. Our attorneys are supported by a staff in excess of 200, all of whom are dedicated to providing the highest level of service to each client. Our clients place considerable confidence in us and we take great pride in helping them achieve their goals. As we continue to explore new approaches to serving our clients and seek out new opportunities to expand our practice, our commitment remains steadfast: to provide effective legal solutions that not only emphasize the best interests of our clients, but also demonstrates the uncommon value of our service.